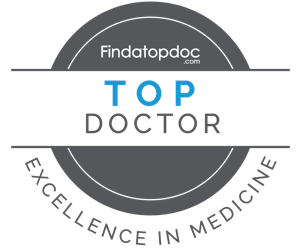 Dr. Wisroth is certified from Harvard Medical School in Lifestyle Medicine: Thyroid Nodule. He is confident that he is equipped with the skills and knowledge to manage your hip pain to the highest degree. Thyroid disorders are becoming an epidemic. According to the American Thyroid Association and American Medical Women’s Association over 20 million Americans are suffering from a thyroid issue or thyroid imbalance. 1 in 8 women in the United States are impacted. The thyroid is important to many processes in the body, but none more important than the many aspects of metabolism and hormone control. There are two types of Thyroid disorders: Hypothyroidism and Hyperthyroidism. Hypothyroidism is when the thyroid gland is not producing enough of the thyroid hormones T3, T4 or both. Symptoms of hypothyroidism are: Fatigue, dry hair and skin, unexplained weight gain, constipation and muscle weakness. Hyperthyroidism is when the body has too much of the required thyroid hormones to function. Symptoms of hyperthyroidism are: Nervousness, insomnia, racing heart beats, unexplained weight loss, high amounts of sweat or perspiration, muscle weakness and thin or brittle hair. The common treatments for these thyroid problems are invasive and not natural. For hypothyroidism the medical world encourages taking a synthetic thyroxine or T4. It works for some and for some it becomes a crutch. Once someone starts taking synthetic thyroid hormones it is difficult to stop or get off them due to the thyroid not no longer producing the needed hormones. For hyperthyroidism it is common that people will take a radioactive iodine to help reduce the productivity of the thyroid gland, in other options people will take drugs that target the thyroid gland or even surgery to remove a large amount of the actual thyroid gland. We like to approach it in a more natural and non-invasive way. Hypothyroidism can be a lack of iodine in the diet so the first thing is to make sure that you are taking enough iodine for the thyroid to function properly. Kelp is a good source of iodine. It also can be caused from heavy metal toxicity like mercury, which us in Casper and the Rocky Mountain region are running into with the water having higher levels of mercury in it. Amalgam fillings and vaccines also have an affinity for the thyroid gland and can alter the hormone balance and thyroid function. Reducing toxic exposures is essential to healing your thyroid. Organic vegetables and fruits, meat from good sources and clean water are a good start. One aspect of healing your thyroid that many miss is the nervous system connection between the brain and the thyroid gland itself. In a world that everyone is looking down, losing the curve in their neck is the same world that people are having problems with the very thyroid gland in the neck. So correcting any loss of cervical lordosis of your neck can help. Going through a corrective Chiropractic care plan would be beneficial and could be the missing piece to your thyroid puzzle. We love taking care of people with thyroid problem and thyroid imbalances. Let us sit down and see if Chiropractic may help you with your unique thyroid situation.